This is a very easy to use and simple tool. It would be nice to see a drop down list and choose which CAD files get purged. 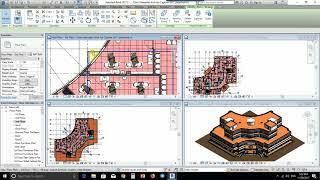 Depending on each project, you may want to keep certain CAD files for construction documents, coordination, etc, while getting rid of the old or hard to find CAD files in the model. Great for a free tool! A real life saver! For free. And it works on 2018.3. It helps timesaving.Keep it up. I think it needs some improvements...but for a free app it is good. It's very simple and fast ... and time saving in lack of time... good Job! And the help documentation is perfect! It would be better if you add some other options like showing a list of linked and imported cad files and let the user select it. Good Job! It's a simple but useful app.it could show list of deleting CAD files though.